Ivan Barbashev, C – Chicago Wolves (AHL) Barbashev seems likely to be playing 3C for the Blues with Patrik Berglund injured. He made positive impressions in his stint in the NHL. He is the type of two way center the Blues depend upon to maintain their style of play. Robert Thomas, C – London Knights (OHL) Thomas has all the tools. He may take more time than Kostin because he has work to do to maintain a two way game at the NHL level. There are no glaring holes in Thomas’ game; but like virtually all young forwards he is going to have to improve in all areas to ultimately make the jump into the NHL. Tage Thompson, C – Chicago Wolves (AHL) on less talented teams, Thompson would be a candidate to make an NHL out of training camp. Thompson left the University of Connecticut to sign with the Blues in 2016-2017. At times he seemed overwhelmed in the AHL; but on the other hand, 6’5” 200 lb centers are coveted. Vince Dunn, LD D – Chicago Wolves (AHL) Dunn is coming along quite well in his development. He is the kind of puck moving defensemen modern NHL teams require to be successful. It won’t take many injuries on the Blues for Vince Dunn to make his NHL debut. Jordan Schmaltz LD D – Chicago Wolves (AHL) Schmaltz had 9 NHL games in 2016-2017. He’s a solid defenseman with potential to add offense to his game. Jordan Kyrou, RW/C – Sarnia (OHL) Kyrou was a steal as a second round pick. Kyrou will not turn 20 until May 5, 2018, so he is going to be back with Sarnia in 2017-2018. Kyrou was superb at the World Junior Summer Showcase. He is a fine prospect, but he will take some time before he is NHL ready. Kyrou is relentless as well as highly talented. Jake Walman, LH D – Chicago Wolves (AHL) Walman has yet to make his NHL debut. He is an offensive defenseman with size, superb skating, and the ability to generate shots. His time will come in the NHL, but it is going to be a challenge for Walman get get more than 7 or 8 NHL games in 2017-2018. Zach Sanford LW – Chicago Wolves (AHL) Sanford played a total of 39 games in the NHL in 2016-2017, split between the Washington Capitals and the St. Louis Blues. He is a classic power forward; but to make the Blues roster, he is going to have to demonstrate he can score goals in the NHL. Samuel Blais LW – Chicago Wolves (AHL). Blais is something of a sleeper pick. He was taken in the sixth round at pick #176. He was a rookie in the AHL in 2016 – 2017 and managed to score an impressive 26 goals and 17 assists. He is likely to spend 2017-2018 in the AHL; but with overachievers like Blais it is always a mistake to underestimate them. With Patrik Berglund’s shoulder injury keeping him out until December, Ivan Barbashev seems likely to make the team out of training camp. Barbashev made a good first impression in 2016-2017. In thirty games he manages 5 goals and 7 assists for 12 points. Barbashev has excellent hockey sense, fine speed and quickness. He still has to increase his strength and his consistency. From a fantasy perspective, he seems ready to take the next step into a full-time NHL player. Zach Sanford had some good outings as a rookie with the Washington Capitals in 2016-2017. In thirty-nine games he had 4 goals and 4 assists. Sanford seems well behind Barbashev in terms of being NHL ready, but one good training camp can change things. Even so, I would be surprised if Sanford is able to crack the St. Louis Blues lineup. Tage Thompson might see his first NHL games, but given the number of one way contracts ahead of Thompson, he is not likely to make the team out of training camp. 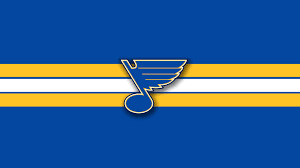 Defensively, the St. Louis Blues have seven defensemen under one way contracts. Jordan Schmaltz is probably the most likely young defenseman prospect to crack the lineup. Schmaltz was the St. Louis Blues’ 2012 first round draft pick at selection 25. Additionally, Vince Dunn seems poised to push for a roster spot; but Dunn is probably more likely to make his entrance after half a season in the AHL or after injuries result in him getting a call up. Jake Walman could be ready to make a case for himself as well. Jake Walman was invited to the National Hockey League Players’ Association Rookie Showcase 2017-2018, along with Tage Thompson and Klim Kostin. Tage Thompson – Thompson was a work in progress when drafted. He has continued to develop and the St. Louis Blues are not rushing him. Vince Dunn – Dunn scored 13 goals and 32 assists in 72 games with the Chicago Wolves in 2016-2017 as a rookie in the AHL. If Dunn can continue to make these kinds of strides, the Blues will find a spot for him on their roster. It is more likely to happen in 2018-2019. Jordan Kyrou – Kryrou was a player scouts loved his draft season. He has continued to develop well. His performance at the World Junior Summer Showcase brought him well-deserved attention. Kyrou had four goals and an assist in three games. Kryou is a guy who fits the St. Louis Blues identity. He’s a player to keep an eye on. Jake Walman – Walman is an elite skater who is highly effective at producing shots as a defenseman. He has very good hockey I.Q. He has added strength and weight from the time he was drafted. That combination of reasonable size, superb and speed with an NHL quality shot has the St. Louis Blues organization excited about Walman. Adam Musil – Musil was drafted as a grinder and as a fourth line center. He is not so much failing as that the St. Louis Blues organization has added better players, including via trade.